Continuing the freeze on tuition and fees through the 2018-19 academic year will keep post-secondary education affordable and accessible for Albertans. Minister Schmidt announces an extension of the tuition and fees freeze at MacEwan University. Extending the tuition and fees freeze through 2018-19 means that a post-secondary education will be more affordable for nearly 250,000 full- and part-time students and apprentices. A university or college student starting studies in September 2018 in a program charging the average tuition rate will save about $1,500 in tuition costs over four years. By maintaining the freeze and compensating institutions for the difference in revenue, the Alberta government is delivering on a promise of affordability and stability in post-secondary education. “Students are thrilled to see that the government has heard them and ensured that post-secondary education remains affordable and accessible. The Council of Alberta University Students thanks the government for freezing tuition while ensuring institutions are funded appropriately so that budgeting restraints do not impact students." The tuition and fee freeze will be accompanied by a corresponding backfill payment to publicly funded institutions with provincially regulated tuition. These payments will provide compensation for the additional tuition revenue that institutions would otherwise have received. This delivers on the government’s commitment to affordability and stability within the post-secondary education system and ensures that institutions are able to maintain programs and spaces for students. "We understand the government's decision to continue the tuition freeze to provide students with a quality education that is also affordable. We appreciate the additional operating funds to compensate for the continued freeze and to reflect rising costs. 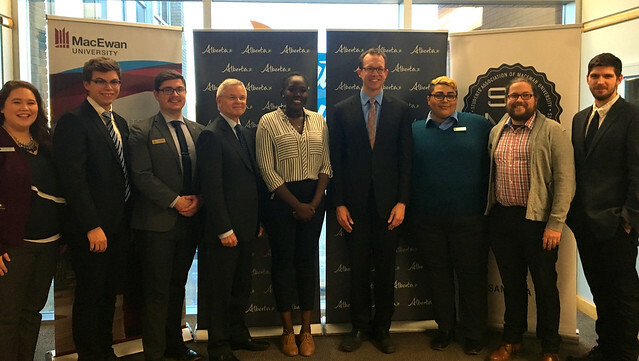 We share with all Albertans a vision of an affordable and accessible post-secondary system." Government is reviewing tuition and funding models for all post-secondary institutions and is committed to ensuring post-secondary education remains accessible, sustainable and affordable over the long term. The province intends to share more information about its long-term tuition and funding strategy in the new year.